Cosmetic dentists are constantly challenged with new developments in cosmetic dentistry. Any dental professional needs to stay up-to-date with all dental materials and technologies. The American Academy of Cosmetic Dentistry (AACD) ensures the highest standards among cosmetic dentists worldwide. Its general members include thousands of dentists who have found interest in the field of cosmetic dentistry and a desire to deliver natural and rejuvenating smile makeovers to their patients. However, just a few dentists worldwide have been tested and evaluated about their skills and knowledge about smile design and the various treatment modalities, such as porcelain veneers. A very small number of dental professionals have passed the challenging process of attaining accreditation recognizing their level of excellence in the field of cosmetic dentistry. Cosmetic dentist of San Francisco, Dr. Jorg-Peter Rabanus, is accedited by the AACD and has been enjoying helping his patients attaining the smiles they always wanted. Even if you do not live in San Francisco, just reading the information provided here might help you to find the cosmetic dentist who best serves your need. You probably have arrived here, because you have most likely been trying to find information about cosmetic dentistry or because you are searching for the best cosmetic dentist in San Francisco or any other city you might live in. 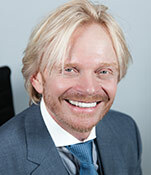 You may be looking for a dentist who is experienced in designing smiles with porcelain veneers. Or you may just be looking for enough information to make up your mind about where, when, and how to address your concerns about your teeth. How do you get the smile you've always wanted? The only person, who will eventually decide what to do with your teeth, is you. This website has been created to help you understand what you can expect from cosmetic dentistry. Many dental offices offer smile makeovers. However, there are only about 500 dentists worldwide to have been scrutinized to obtain accredited member status with the prestigious American Academy of Cosmetic Dentistry. The academy is the largest international organization specifically dedicated to the art and science of cosmetic dentistry. How do you find a cosmetic dentist who is truly experienced with the art of cosmetic dentistry? You should find out how many smile makeovers and porcelain veneers the dentist has delivered and how many years he has practiced cosmetic dentistry at the most comprehensive level. You should ask whether or not the dentist had any formal training in the various aspects of smile designs. Find out whether he is AACD-accredited or at least a member of this prestigious dental academy. Request before-and-after pictures of patients. Make sure the dentist shows pictures of his own patients, not just pictures that he bought by some marketing companies. Many dental professionals have established social profiles to demonstrate their skills by publishing before-and-after images with more condensed descriptions than on a more informative website. How do you feel about what you see? Does the cosmetic work look balanced and natural? Ask for testimonials and references of patients who have gone through the process. A dentist should know about smile design and understand how the whole face interacts with the smile he is creating. He should be able to tell you about the amount of visible tooth that is considered aesthetic and how much the lips should be supported by the teeth. Like the cut of a diamond, where the facets have to be the right proportion to get maximum brilliance from the stone, all the elements of a beautiful face are in harmony. How experienced is the cosmetic dentist in performing corrective gum procedures? To create a harmonious smile, you often have to correct the gum line. Some smiles are compromised by the dominance of their gums. In other smiles, uneven gum lines are created by misaligned teeth. To correct problems such as these, it is not enough to just place porcelain veneers. The relationship of gums and teeth has to be balanced as well. This might require a procedure, called a gum lift, which is not just limited to the trimming of the gingiva, but also to the reduction of the crest of the alveolar bone right under it to maintain biological balance. For this reason, a periodontist is often a member of the smile design team. Does your dental professional know how dentin bonding works? Dentin bonding is a product of long and extensive research. It creates an intimate link between a dental material and the natural tooth surface. Let your dentist explain to you how it works. Listen very carefully and evaluate how much importance the dentist gives to making sure that you understand these intricate dental procedures. Without the proper performance of dentin bonding, porcelain veneers and crowns may develop dark margins, decay, bad breath, or even detach from the tooth. Your dentist needs to rebuild a tooth that is at least as strong as your natural teeth. And this is only achieved with the proper use of dentin-bonding agents and techniques. How does your cosmetic dentist communicate with the lab that fabricates your teeth? There should be detailed illustrations, highly specific information about the goals on dental shape, shade, and translucency. Without translucent incisal edges you would end up with teeth that look like they have been painted with white-out. Photographs should go to the lab so that the dental technician knows exactly what he is dealing with. There should be information about your bite and the functional and anatomical relationship of your jaws. The dental lab should be well-experienced in fabricating cosmetic porcelain restorations. They should also clearly understand all steps necessary to make comprehensive dentistry predictable and permanently enjoyable. There are a lot of dental techniques and treatment modalities that can do to improve your smile. Get informed. Read this web site, contact me and ask questions. While a dentist is not allowed to diagnose via looking at some pictures, I will try to answer general questions or would be happy to see you for your consultation personally.